3M-Matic™ Side Belt Adjustable Case Sealer 8000a With 2" 3M™ AccuGlide™ 3 Taping Head is an adjustable side belt drive case sealer. 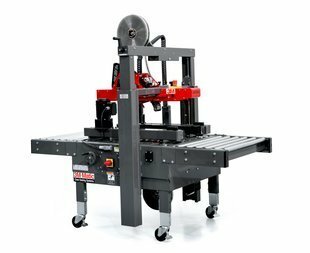 This adjustable case sealer comes equipped with a spring-loaded, side belt drive designed for narrow profile boxes. Engineered with 3M™ AccuGlide™ 3 Taping Heads, this case sealer offers reliable application of tape without box damage.